Hello Beauties! I hope you're all having a great week (it can only get better now Monday is out of the way, right?). 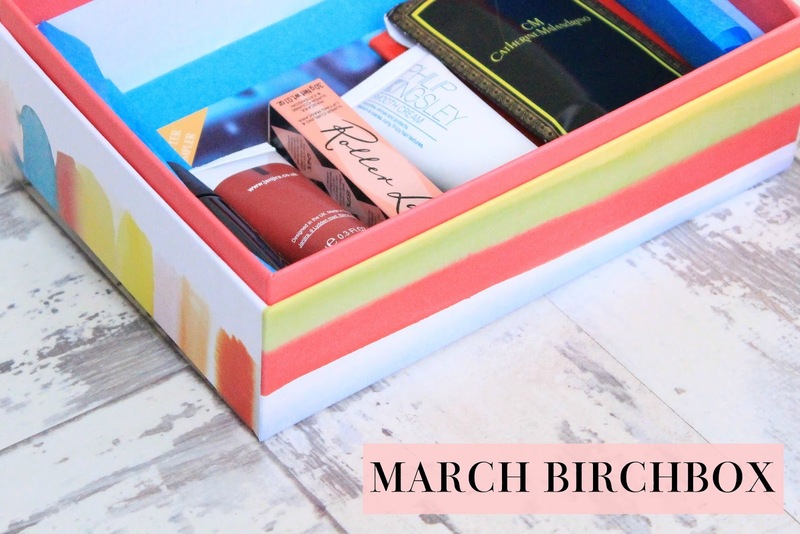 I honestly can't believe that it's time to let you all know about the March Birchbox already, February feels like it lasted 20 seconds and January feels like it didn't even happen at all! I know I say this pretty much every month, but where has the year gone?! This month Birchbox have teamed up with Habitat to bring you the 'Do Try This At Home' box, based around sprucing up your home for Spring and possibly giving your home a little spring refresh. I get why this theme has been chosen, but I'm a little unsure as to how this fits in with a beauty subscription service, especially as the box contains no homeware bits. I'll start off with the most exciting product this month, the Benefit Roller Lash Mascara sample. This month Birchbox did a 'pick your own sample' where you got to choose which Benefit mascara sample you'd like. 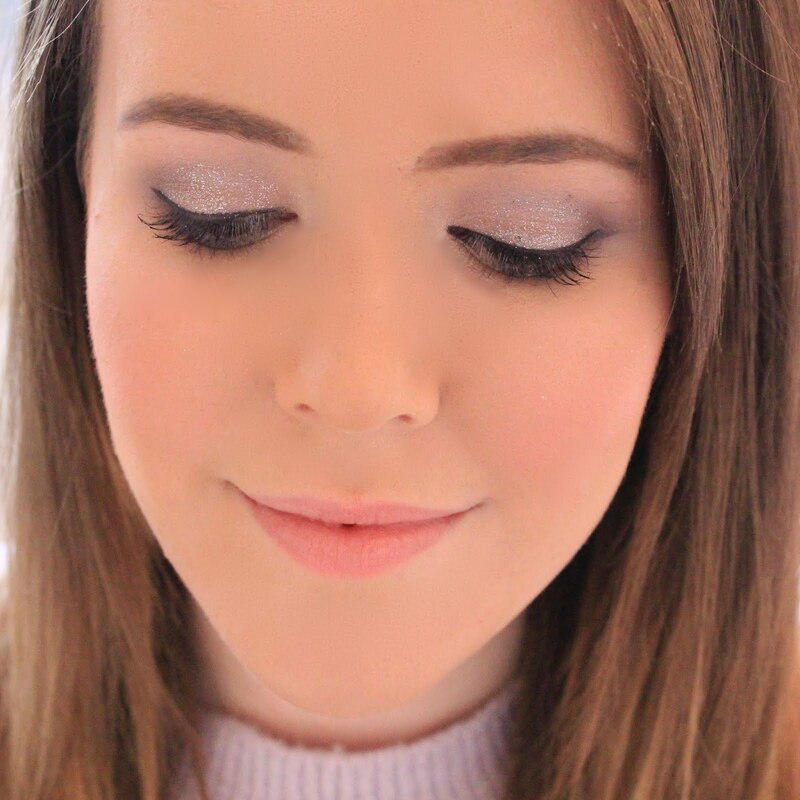 I went for Roller lash, as I'm not really a fan of 'They're Real' or 'Bad Gal' and I was keen to try out their latest mascara offering. I've tried this a couple of times, and I have to say I'm not all that impressed. I love Benefit as a brand, but their mascaras just don't do it for me. However, I do like that Birchbox gave me the opportunity to try it as I would have hated to buy the full size and realise I didn't like it! I will pop up a full review of this mascara explaining why I didn't get on with it as I do think that if you've got short, straight lashes then this might be a wonder product for you. This month I also got a perfume sample of the Catherine Malandrink 'Style De Paris' which is a Birchbox Exclusive. I don't usually like receiving perfume samples as they're just something I could go to any perfume shop and pick up and it seems like a bit of a cop out to me, however I did really like this scent as it's quite fruity and it's not a fragrance I would have come across otherwise. This month I also got a sample of the TanOrganic Self Tanning Oil. I wasn't all that sure what this was when I first saw it but it's basically a regular self tanner in oil form. However, the sample of this just isn't big enough. Im not exactly a big girl, I'm a little chunky but I'm not tall, etc so you'd expect that a regular size sample would be enough to do my whole body but I found that once I'd put one layer of this on my legs it was all gone, and also one layer isn't enough to get any results. I may as well of not bothered with this product as it didn't do anything, but I guess that was lucky for me or I'd have orange legs and pasty arms! Lastly for makeup/skinare this month was the Janira Pomegranate & Acai Facial Scrub Cleanser. This isn't a skincare brand I was aware of until I received this box, and I'm so glad I got this little sample as I really like this as a face scrub (not as a daily cleanser). I do like getting these little face scrub/wash samples too as I tend to go away for a night every so often and they're always handy to have. This month I received two 'lifestyle' samples which I assume is to go with the more lifestyle focussed DIY theme of the box, however I do prefer to receive beauty samples as this is a beauty subscription box. Firstly, I received a little notebook which is always handy to have and secondly I received a chapter of 'A Perfect Heritage' by Penny Vincenzi, which may seem like a nice idea, however as I have a Kindle, I could have just downloaded a sample of the book for free from the Kindle Store. Overall, I wasn't too impressed with the March Birchbox. I found that I received a lot of samples this month, a lot of them being too small to even try out properly. I think because the Benefit sample was included that Birchbox felt like there was no need to include anything else which was either full size or a recognisable expensive brand, which is slightly disappointing. This month seems like such a disappointment for the Birchbox which is a shame, other than the sample of mascara :( I do love Roller Lash though, it does do wonders for my stubby little lashes. This month's box sadly doesn't look that great! Beauty boxes don't seem to be at the standard they used to be, which is a real shame. I've only gotten round to using my sample of Benefit Rollerlash (which I got in Elle) once so far, and I've got to admit it isn't as amazing as the hype would suggest. Looking forward to your review! Seems like a pretty good box and I do want to try the mascara and I do love the mini notebook idea.